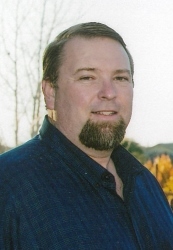 Darron William Baker, 45, of Henderson, NV, passed away on August 8, 2018 in Prescott, AZ. He was born on April 4, 1973 in Denver, CO to Don and Ardis (LaBrant) Baker. Darron and his family moved to Somers, MT and remained there throughout his childhood. He graduated from Somers School, Flathead High School and Boise State University. Throughout his life he was an outstanding athlete in all sports and ending with Field and Track at Boise State. It was there that he developed a love of study for US, World History and Economics. In his earlier years he treasured the hunting trips with his dad and son, Dorien, as well as boating and fishing on Flathead Lake. Darron was the kind of father who spent a lot of time with each of his children to learn what their interests were in school and athletics. He was a very loyal person who valued Family, God and Country. He was active in helping children through Big Brothers and Big Sisters and encouraged his children to be the best they could be and always help others. Oh, how he cherished his family, especially the children. He would give each of the kids a nickname for teasing and giggles. When he wasn’t working, he would always attend their special events, and was their biggest fan. To him, once a friend always a friend. Some would say he was our “gentle giant”, and our “voice of reason”. Darron was a gift to everyone who knew him and will be missed. He is survived by his parents, Don and Ardis Baker; wife Erica and daughter Abbigail of Henderson, NV; son Dorien (Monique) grandchildren Ethan and Audrey of Nampa, ID; Sister, Lynette (Zak) Hoyt and nephew, Harlan of Prescott, AZ. Aunts and Uncles; Dale and Lois Lauman, Floyd and Toni LaBrant, Larry and Nancy LaBrant, Bruce and Betty Jellison, Hubert and Bonnie McKenzie. Brothers-in-law Anthony and (Maria) Veltri, Jr. and Marc Veltri; Mother-in-law, Karen LoBue; Father-in-law, Anthony Veltri, Sr. and numerous cousins, nieces and nephews. There will be a memorial service in Las Vegas, NV on August 18 at the Palm Eastern Mortuary 7600 S. Eastern Avenue from 4:00 to 6:00 p.m.
A memorial service will be held at the Church at Creston on September 1, 2018 beginning at 10:30 a.m., at 5747 MT Highway 35, Kalispell, MT.